Sunday night is a great time for television fans who like to watch people play poker. They see millions of dollars won just by the flip of a card. Many people wonder how a casino or other location can afford to have games that involve so much money. The answer is a ‘rake, ‘ which is used on the Internet as well as in regular poker parlors. However, there is a way to save on this charge on Internet poker by using rakeback. With a ‘rake’, a player in the game is paying a fee in order to be in the game. In poker, unlike casino blackjack and other games, the player is playing against other players for the ‘pot’ all have contributed to. They are not playing against the house, so the house does not ‘win’ some hands. The only way the places sponsoring the games can make any money is by charging an entry fee for putting the games together as well as a small amount from every cash game pot. This happens also with online poker and is approximately 5% of the pot. This can add up to quite a bit if one plays poker on a steady basis. Rakeback has an agreement with some online poker rooms where one is playing and paying the ‘rake’. The player sets up a poker account with rakeback, who keeps track of all the rake one pays in while playing a regular game. Through the agreement, these costs which have been paid are relayed to rakeback who then credit the money to the poker player’s account. A report is sent from the poker site on exactly how much ‘rake’ has been paid in. There are two ways this money is distributed. It is a ‘shared’ method and a ‘contributed’ method. In the ‘shared ‘ method the money (rake) is divided evenly between the players. A ‘contributed’ method is based on the proportion contributed to the pot and who has made the contributions. In either case, some of the money contributed comes back to the player’s online poker account. An application must be filled out to set up an account and is easily available on their Internet site. 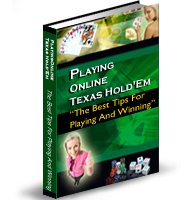 On this site one has a wide variety of different poker sites (rooms)to choose from. A chart on the Internet also shows the amount of ‘rake’ refund one receives. For a person who is constantly playing the game on the Internet this is one way to get some money spent credited back into one’s poker account. Poker is a fun game and provides a chance to win money based on one’s skills. Not everyone, of course, can win, but knowing that some of the money will be credited to one’s poker account is a great way to keep playing the game. Poker is a way to keep the mind active when competing against others and Internet sites have become very popular due to their easy access. On these sites one can take all the time they want to calculate their moves, unlike a regular casino or poker room where there is a feeling of pressure to make a move so as to not hold up the game. Rakeback is one way to start receiving some of the poker money back.